I guess the warmer the weather, the more I crave color. I have no idea why, but I just can’t stand dark colors in hot weather. That is why I think I just can not get enough of the color block trend that is so hot the season. The Report Signature Bergen Suede Platform taking the color block trend to your feet. The mix of color on this shoe is so pretty. You can just about wear theses with any dress that you want and they will look fantastic. A girl can never have too many handbags, right? I am always perusing and looking for different types of bags to find something that unique. 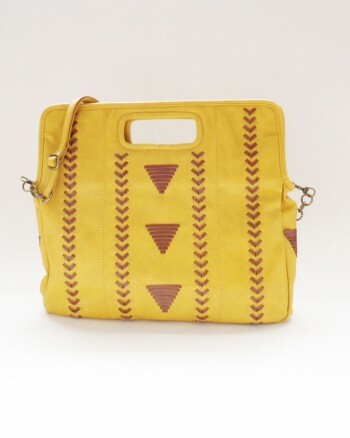 This handbag from Melie Bianco is a handy bag for the summer. 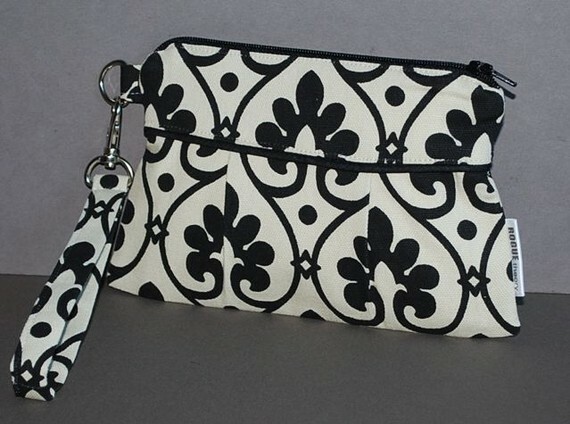 It is perfect as a clutch, but can also be worn with a shoulder strap. 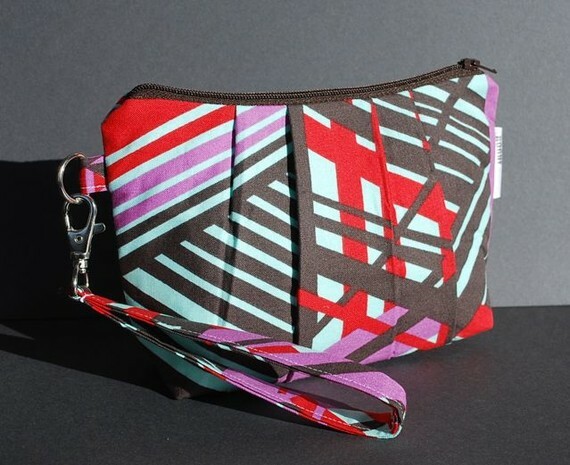 It is a great way to add a pop of color to any outfit and carry all your summer needs(do not forget your sunscreen). Available at Plum for Polly. I am a big fan of the trend of dresses that look like two separate pieces of clothing that were put together to create a fun look. This nautical style dress from Theme is the kind of look that I want from this style of dress. Yes, of course I could do it myself, if I could find the right top and skirt, but this makes it so much easier. 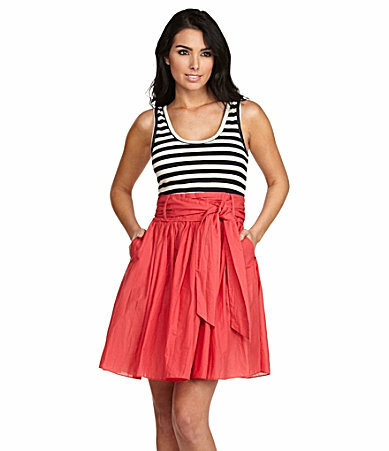 This is such a cute dress with a little striped bodice and the fuller skirt to give this dress a very playful shape. I think this dress will be one of my summer time favorites. The back is what makes this dress really stand out for me. Obviously, this will be covered up at the office, but once I am back in th city in the evening, it is just perfect. Dear Creatures are you of my favorite design houses of late. Their designs are reminiscent of a French schoolgirl, or at least what I think they would dress like. The Par Avion dress is just so down right adorable. This dress is all about the little details that make it so special. Starting with the peter pan collar that is edged in contrasting white scalloped trim and the double-breasted button detail on the bodice of the dress this dress is just so pretty and special. The pleated skirt just adds to french schoolgirl look. Pair this a pair of red heels for the complete look. 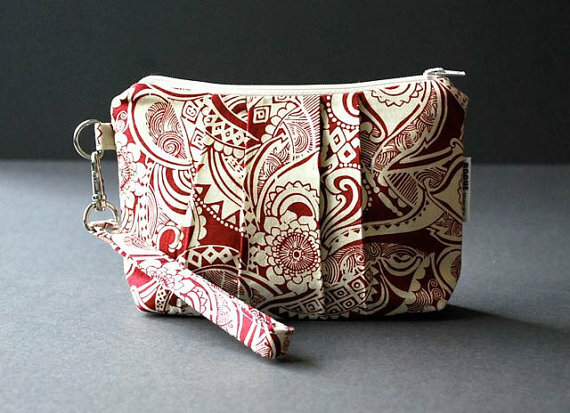 I have been a big fan of Rogue Theory handbags and clutches for sometime now. They are always so beautiful to look at with the very unique fabric that is used with their bright and fun with great patterns. The best par about these great look clutches are that they are completely functional and practical. See fashion and form can go hand in hand. This is the dress that I am thinking about when I think about the perfect dress for spring weather. I am a huge fan of the maxi dress and this version, the Ever Dress, just captures the feeling for spring perfectly. I love the light blue stripes against the white as it reminds me of the Greek Islands with the start white houses and the blue of the sea. The back of the dress has an unexpected visual detail with the strips of fabric that allow your bare skin to peek out. Such a romantic dress and just perfect for those warm days that are stretching ahead of us.